DAVID LE/Staff photo. 2/26/15. 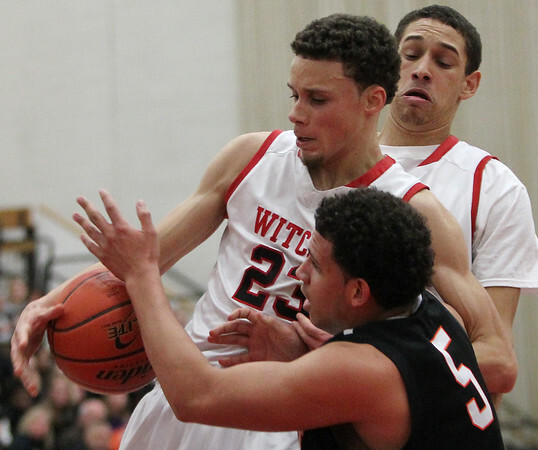 Salem senior forward Bryan Martinez rips a rebound away from Woburn senior forward Dion Williams (5).